The Brady-Manning bout was publicized as the main event on Sunday; however, a veteran quarterback out of Pittsburgh may have upstaged the future hall of fame QB’s when it was all said and done. Steeler’s QB Ben Roethlisberger continued his supreme play as he dismantled the Ravens secondary, on his way to another record-setting performance. How do you possibly follow up a 522 yard, six touchdown performance? Lets see…maybe by going out there the following game and throwing for over 300 yards and ANOTHER six touchdowns. Are you serious! Yes that’s a total of 12 touchdowns in two games, which happens to be an NFL record. For you fantasy lovers, Roethlisberger accumulated 79pts over the two game span, which is also a record for quarterbacks. On a night that paid homage to Steeler’s legend “Mean” Joe Greene, who’s No. 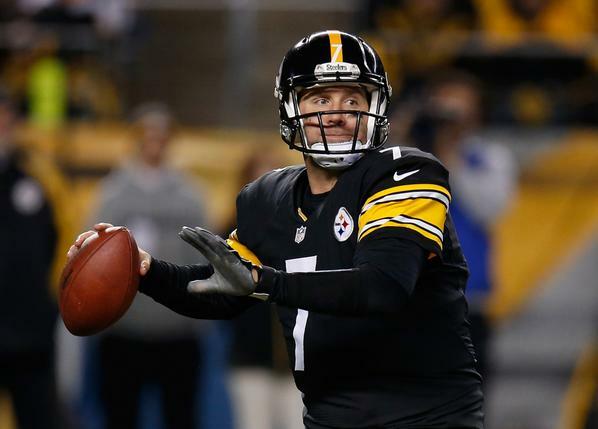 75 was retired at halftime, Roethlisberger was the unequivocal star Sunday night. Roethlisberger really got rolling in the second quarter when he threw two touchdown passes in less than two minutes. And another one before the end of the half. Add threw more touchdown passes in the 4th quarter, and you have an epic performance from the Steeler’s QB. To put things in perspective, Roethlisberger’s QBR in his last two games are 99.0 and 84.3, respectively. Just ridiculous. With Pittsburgh sitting at 2nd in the AFC North and having a fairly easy schedule the remainder of the season (lone exception, Cincinnati), you wonder if Roethlisberger could be a dark horse for the MVP award. If his last two games are any indication of what’s to come the remaining eight games left, I’m sure his name will be mentioned among the other candidates. Roethlisberger is currently on pace for a 4,836 yard season, which would be a personal record for him. Perhaps the only thing more intriguing than Roethlisberger’s remarkable play, is the awkward face he made after taking a vicious hit to the jaw Sunday night; which has inpired thousands of memes circulating the internet. Who ever said that you have to look pretty while throwing for six touchdowns in a game? !